"Carnac the Magnificent" . . . .
. . . was a character created by Johnny Carson, who was frequently featured on the Tonite Show during his tenure as its renowned talk show host. 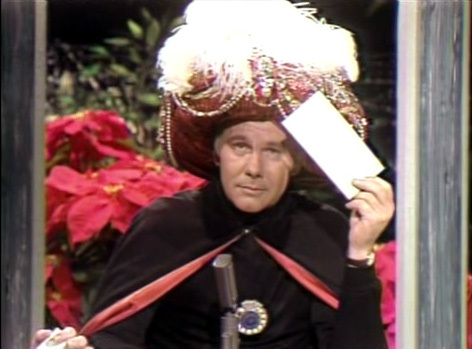 In it, he played a psychic adorning an elaborately decorated turban, who clairvoyantly divined the answer to what was typically a three-part question contained in a sealed envelope. The skits were usually hilarious; however, in the context of today's answers, such is not the case. The three part question to the above answer is as follows: What is the current annual hit rate to Spencer C. Young's websites? 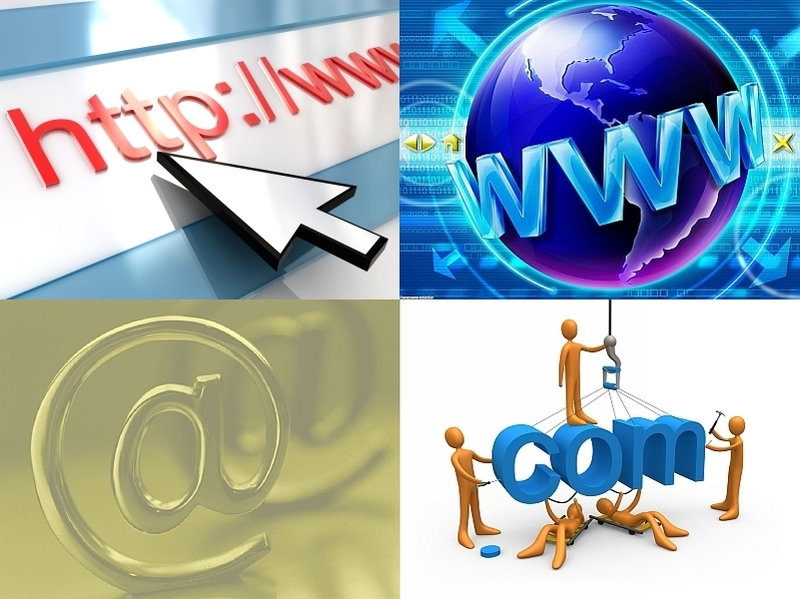 ; Who was the most prolific individual visitor to Mr. Young's websites this month? ; and What is the common 'thread' to it all? Now let's explain each of these answers. Mr. Young operates a dozen websites, many of which have only recently been completed and some are still very much in development -- click here for a complete listing and explanation of each. More importantly, based on average monthly growth realized over the past five months (note: monthly growth rates have been increasing), the annual hit rates are conservatively projected to reach . . .
. . .178 million by year- end. 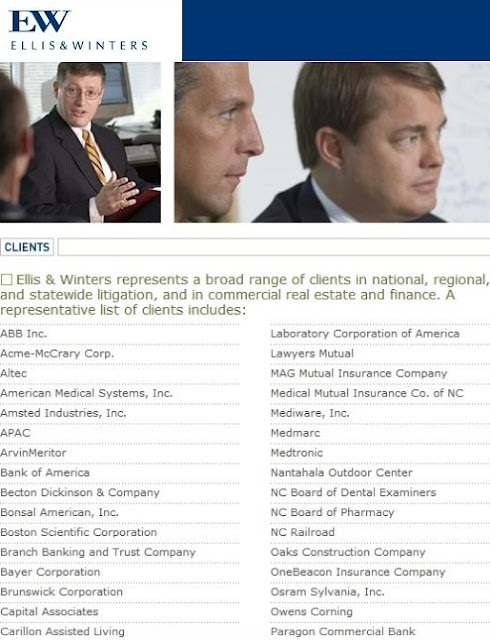 For the month-to-date (as of the date of this posting) for April 2011, the most prolific visitor to Mr. Young's websites is a law firm with offices in Raleigh and Greensboro, NC. Mr. Young has had no prior involvement with this firm whatsoever, which begs the question, why would this law firm have visited Mr. Young's websites 998 times over a three week period? The answer lies in their client listing on their website, particularly the bank listed at the bottom right - "Paragon Commercial Bank" (see below), because Paragon is a small local bank facing a bank foreclosure fraud claim that could very well end its days as a going concern because of the implicit involvement and tacit endorsement by its senior management AND Board of Directors. The next question would be why wouldn't Poyner & Spruill be monitoring Mr. Young's websites? After all, this is the law firm who represented Paragon in its fraudulent foreclosure proceedings against Mr. Young and many of his North Carolina properties. Answer: Paragon is aware that Poyner & Spruill will be named as co-defendant in the impending bank foreclosure fraud lawsuit. And let's not forget the transgressions of MorganStanleyGate effectively tortured and killed Maria Young, Mr. Young's wife of 24 years, which makes Morgan Stanley a firm of torturous murderers. So how is this all connected? Refer to the below schematic, but recognize this is simplifying something quite involved, but certainly helpful in understanding what's really been going on. John Mack, Bob Steel and Bob Hatley were born and raised in North Carolina, and were the CEOs of Morgan Stanley, Wachovia and Paragon at the time the fraudulent bank foreclosures were carried out against Spencer Young's investment properties in North Carolina. The 'good ole boy' network is alive and well in North Carolina, particularly among bankers, attorneys and public officials, most particularly in the Triangle region -- this is also why it is likely the most corrupt region in the United States. 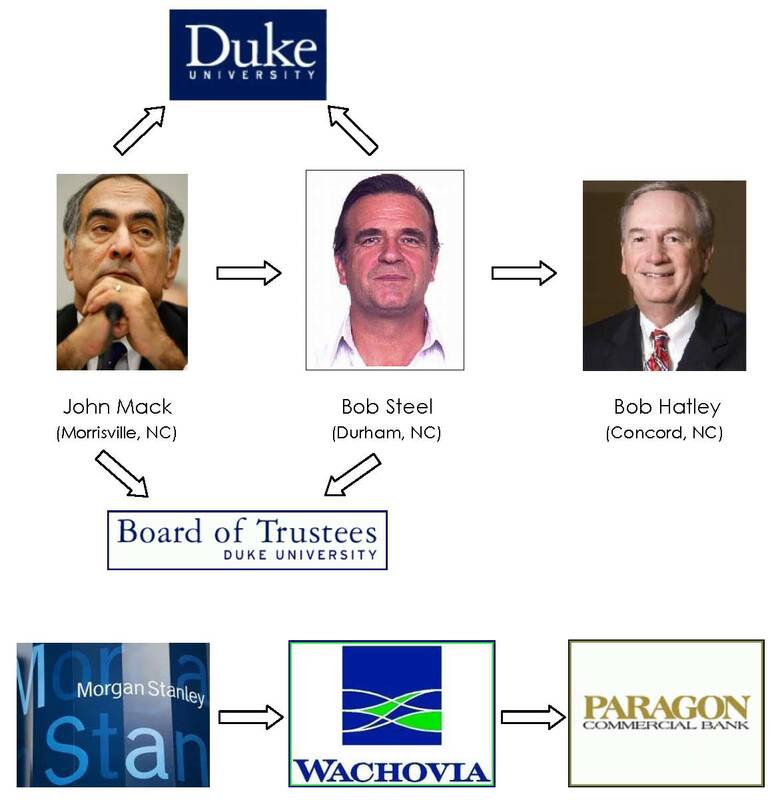 Messrs. Mack and Steel are close friends, alumni of Duke and both served on Duke's Board of Trustees when the fraudulent foreclosures took place. There have also been long standing institutional ties between Morgan Stanley and Wachovia (well before Mr. Steel became its CEO) and virtually EVERY executive at Paragon Commercial Bank had an extensive prior banking career at Wachovia. At the behest of Morgan Stanley, Wachovia carried out the fraudulent foreclosure of The Courtyard of Chapel Hill, and Paragon carried out the fraudulent foreclosures on Mr. Young's other investment properties (e.g., The Pit Stop of Durham, Meadowmont Village Condo of Chapel Hill and land parcels to be used for valet parking at The Courtyard of Chapel Hill). And MorganStanleyGate gets resolved once the bank foreclosure fraud claims against Paragon and Poyner & Spruill are filed and the resultant criminal investigations are commenced . . . it's really that simple. By the way, do you think there is any link between Morgan Stanley's attorneys (Kirkland & ELLIS) and Paragon's attorneys (ELLIS & Winters)? Hmmm.